1. 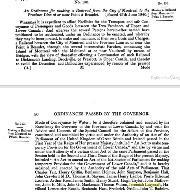 John 2 LEAYCRAFT was the son of John LEAYCRAFT ( - ) and Mary HINSON ( - ). 2. John LEAYCRAFT, son of Jeremiah LEAYCRAFT and Bethia UNK, married Mary HINSON. 3. Mary HINSON has few details recorded about her. Margaret Richardson LEAYCRAFT (1821-1880). Margaret was born on 30 September 1821 in Southampton, Bermuda. She was christened on 1 January 1822. 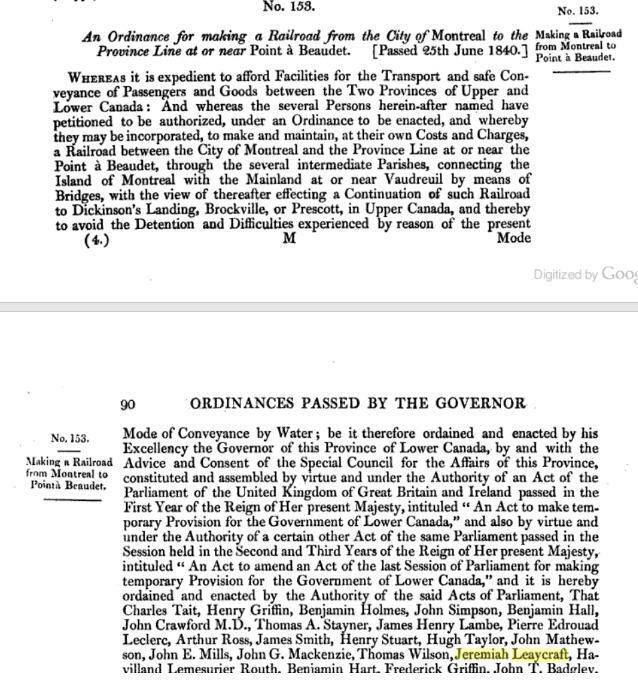 She married Samuel Saltus INGHAM on 27 May 1841 in Southampton. She died on 27 May 1880 in "Mangroville", Paget, Bermuda. 4. 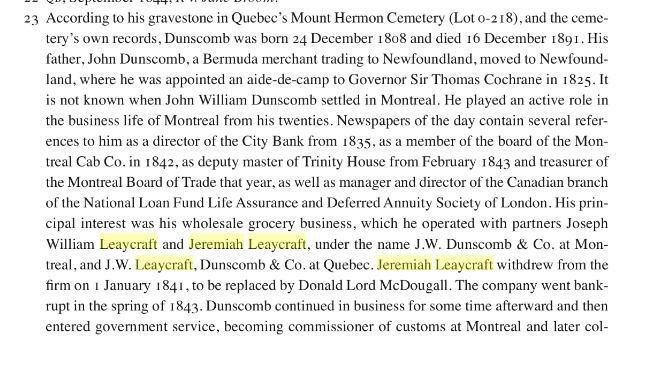 Jeremiah LEAYCRAFT was a Shipping Merchant. He married Bethia UNK. This man is probably the father of John and Jeremiah. 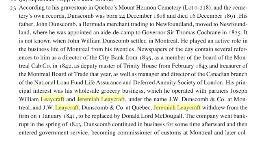 It is likely that he and three brothers founded the merchant company which sailed out of Bermuda and Quebec. There are media files which refer to other Leaycrafts who are as yet unidentified but are almost undoubtedly family members.